Eric Schmidt and Jared Cohen to discuss The New Digital Age. Eric Schmidt and Jared Cohen to Discuss Their Book The New Digital Age in Washington, D.C.
Few companies have helped shape our technological present as much as Google—which means its leaders might be in the best position to explore what’s to come. 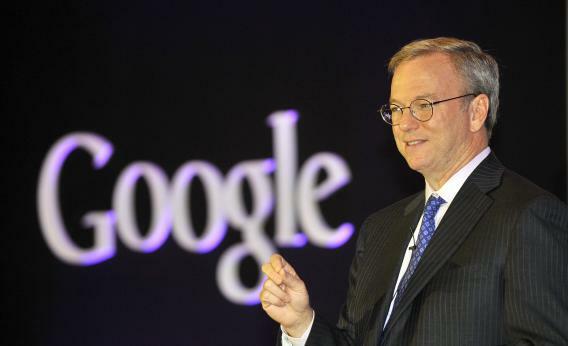 In The New Digital Age: Reshaping the Future of People, Nations, and Business, Google Executive Chairman Eric Schmidt and Jared Cohen, director of Google Ideas, describe their vision for the connected future. On Thursday, May 2*, at 6 p.m. Schmidt and Cohen will discuss their book in Washington, D.C., at a New America Foundation event. Senior Future Tense fellow Robert Wright will moderate the discussion. For more information and to RSVP, visit the New America website. Correction: This blog post originally listed the incorrect date for the event. It is May 2.